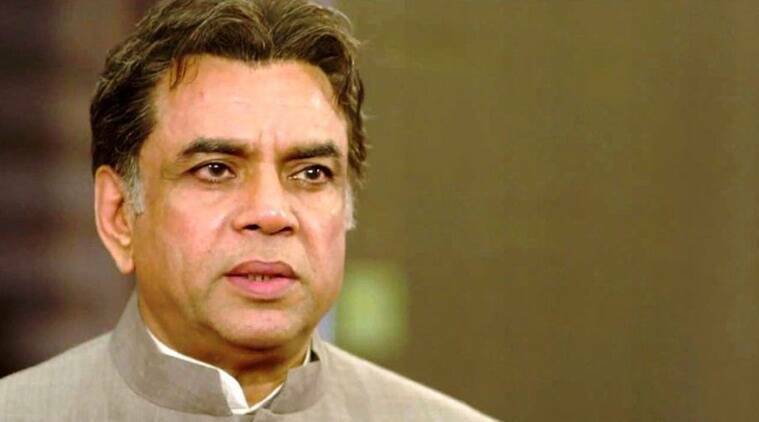 Paresh Rawal, BJP MP from Ahmedabad East, recently spoke about Pakistani actors working in Bollywood. He said he would love to work in Pakistani films and shows. “Yes, I would love to work in Pakistani films and shows. I love all Pakistani TV serials like ‘Humsafar’, the way they act, the story, the writing, the language…It’s all good. I feel our shows are boring,” Rawal said. He further said artistes and cricketers are not terrorists and they rather bridge the gap. So they be spared, 67 year old actor says cinema and cricket bridge the gap between the two countries. “I believe that artistes and cricketers don’t come and throw bombs. They are not terrorists, rather they bridge the gap between the two countries. But when the mood is not good why rake up issues at that time? It is better to stay with your country,” he says. Added, he said that there should not be a ban on Pakistani artistes in the industry as mood prevails in the country is good. “There should be no ban on anyone or anything. Even in Hindi Medium there was a Pakistani actress but nothing happened as the mood is good in the country,” he says. What a Irony : Abrupt remarks on Political Cow by anyone draws outrage and flack but if same remarks is spoken by one party cadre, then it draws nothing. If Salman Khan, SRK press the same opinion as Paresh Rawal did, then there would be outrage, hue & cry across the corners. But when Paresh Rawal showers his love for Pakistani actors & serials then you could observe a MMS’s styled silence all across the corner. Besides MNS issuing a warning to the said artists, telling them to leave the country in 48 hours, Indian Motion Picture Producers Association (IMPPA) banned all the Pakistani actors and technicians. Remaining Silent on the act of terrorism by your country is also a form of terrorism. @BeingSalmanKhan Sir. Has Salim Khan apologized for his son's statement yet? Rashtra Sena, right-wing group, has called for India-wide ban on Shah Rukh Khan and Mahira Khan, from pakistan, starrer in Raees. The film had faced wide protests arcoss several places. Later even Vishwa Hindu Parishad, Gujarat Shiv Sena & MNS had extended supported the ban call as reported. Abhijeet, Bollywood Singer, blaims Khan & Karan Johar fraternity to promote Pakistani actors in India. As his twitter handler is suspended. A text reference is pasted for a perception.